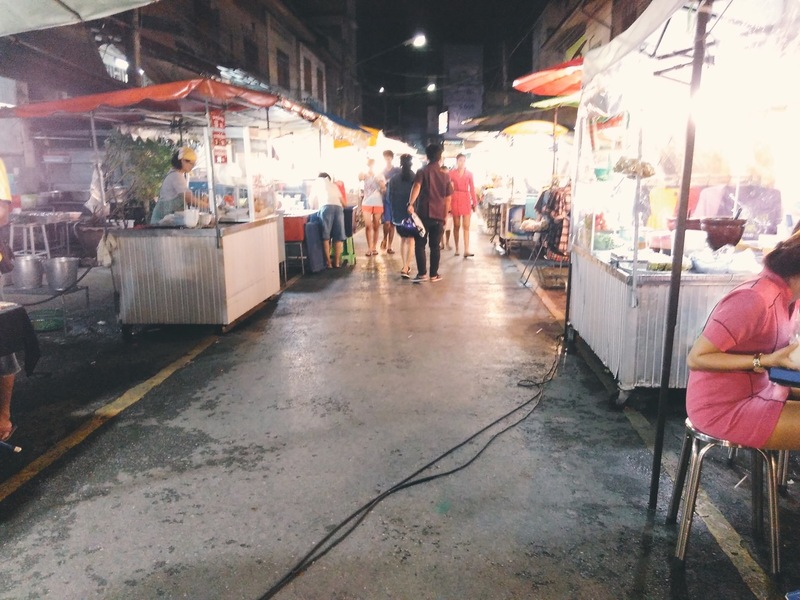 On the second night in Surat Thani, we walked around at night to explore the night market. 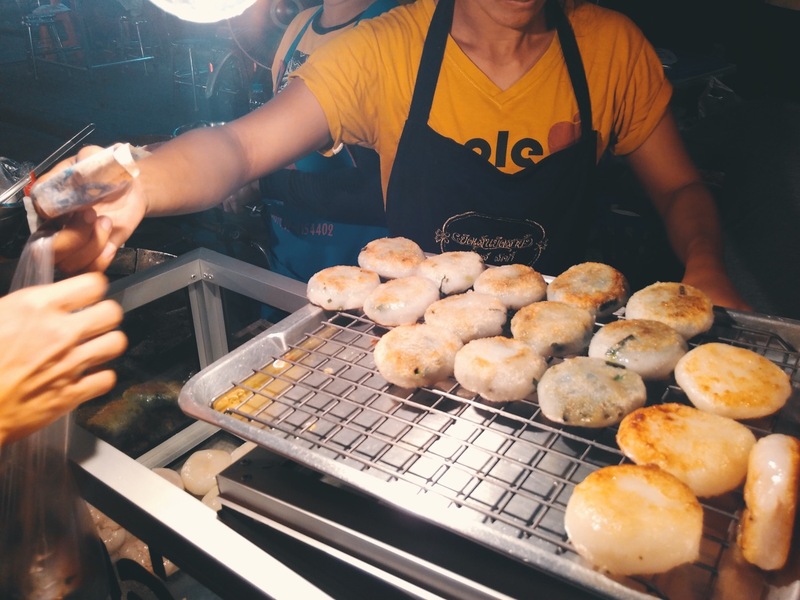 I like exploring local night market whenever I travel, mainly for local food because it’s cheap and plenty to choose from. 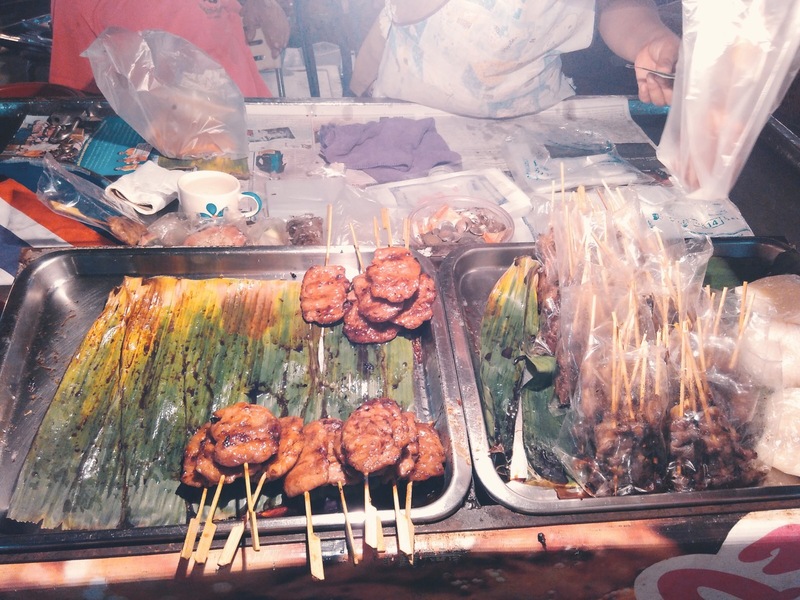 The night market at Surat Thani town was not too far off from our hotel. It was a good 10-15 minutes walk along the quiet streets. The streets of Surat Thani does get pretty quiet after sun down. 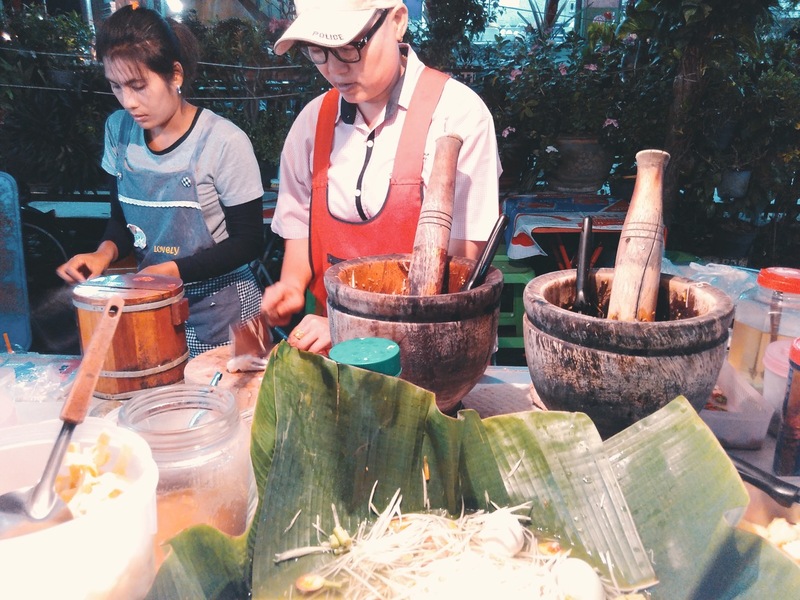 At the night market, there’s plenty of stalls selling local Thai food, fruits, clothes and other household stuff. There is also some cafe for dine in. Night market in Surat Thani. Food, fruit and anywhere in between. Springy flour dough filled with vegetable and meat. Not sure what is it called in Thai. Fried mushroom sprinkled with chili powder. Not my kind of thing, though. 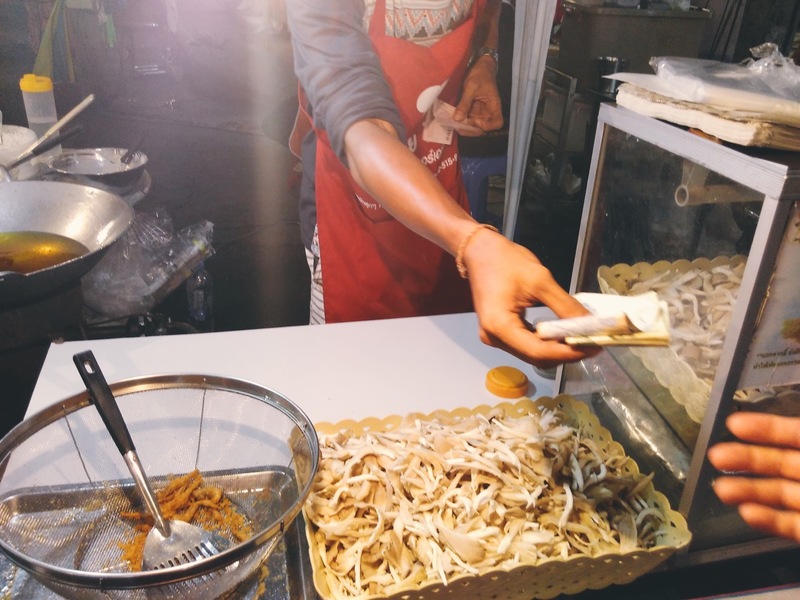 Somtam (common Thai food known as papaya salad). This stall has an option to add-on crab. 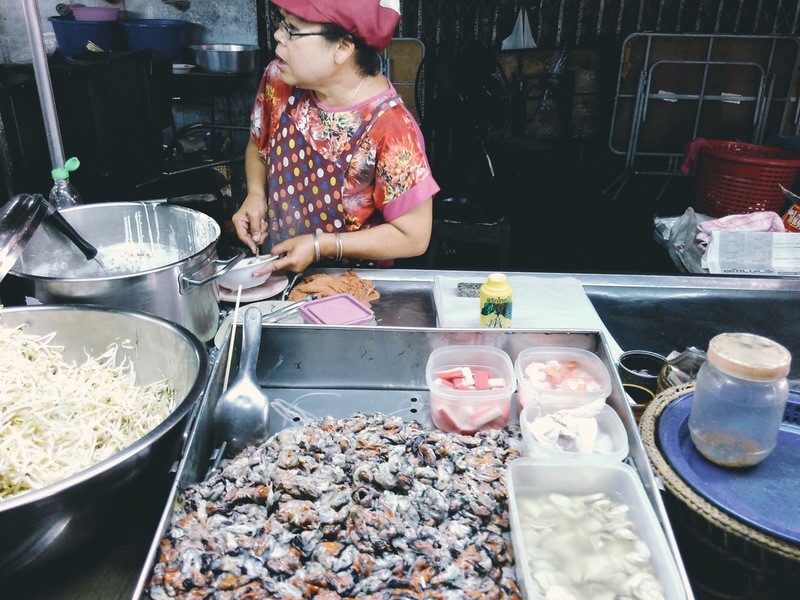 Fried Oyster Omelette, Thai style. 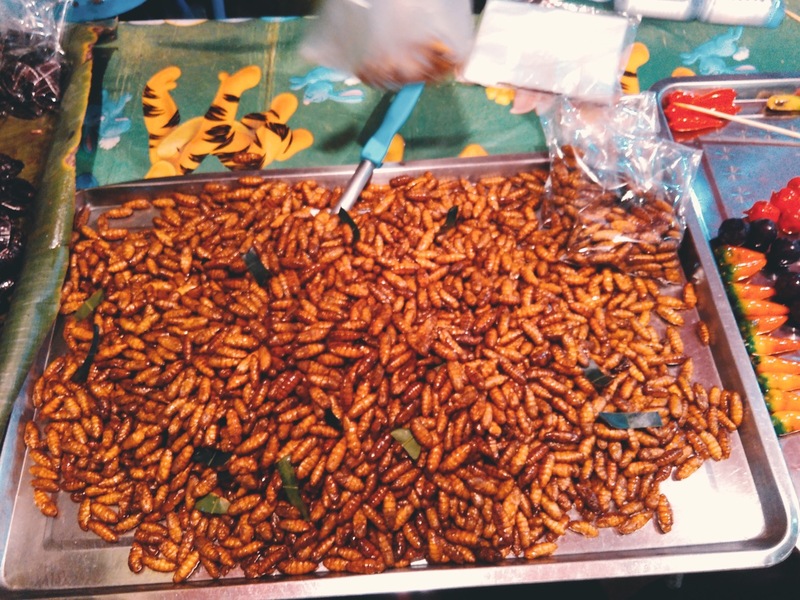 Fried worm. Local Thai exotic delicacy. Plenty of protein.